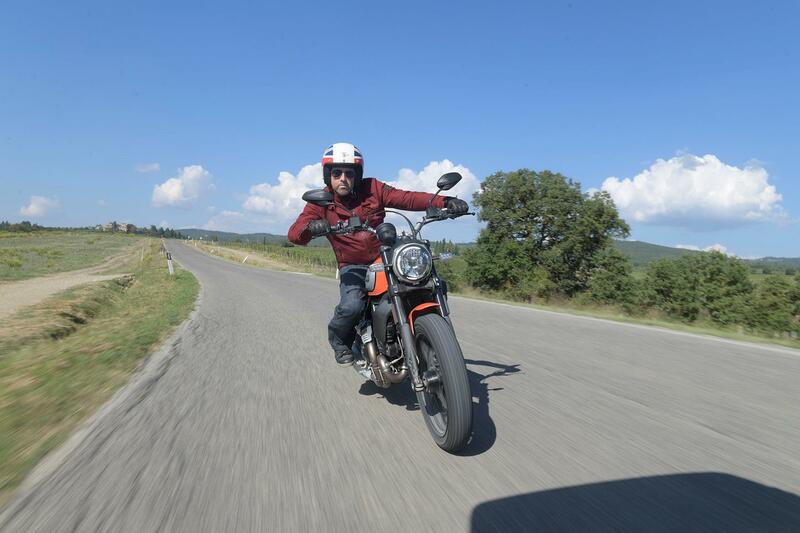 The 2015 Ducati Scrambler was a huge success. 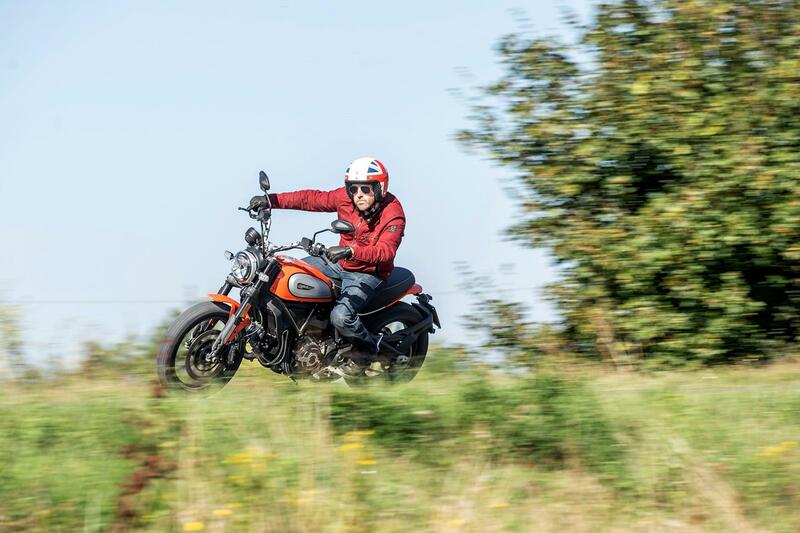 Now this, the 2019 Scrambler Icon 800, like the old model, is simple, easy-to-ride, but now softer, more comfortable, with improved looks and features like DRL, and cornering ABS. Costing over £8000, it’s stretching your wallet a little more, and it’s a shame the engine lacks character. Even if you don’t buy into the hipster image, marketing hype and lifestyle it’s still a brilliant all-round attractive road bike. But it’s only a small step of an improvement over the old model, not a giant leap. The Kayaba suspension is completely new front and back. From the outside they appear the same, but the front now has hydraulic bump stops not mechanical, and the rear spring is completely new. Static sag has increase, which means the bike sits more with the rider on-board. This results in a softer ride, the bike doesn’t jolt over bumps and takes everything in its stride. The increased suspension travel hasn’t affected stability, but the bike has more tendency to sit on the rear spring when ridden aggressively. In extreme situations over undulations ground clearance has been reduced, which is a result of the softer spring. 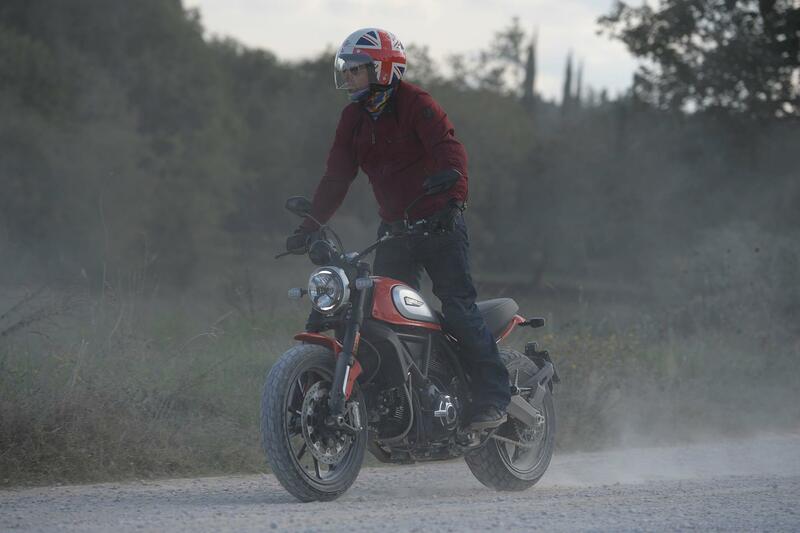 Although the new Scrambler has gained a few KG it’s light, easy-to-ride and manageable. 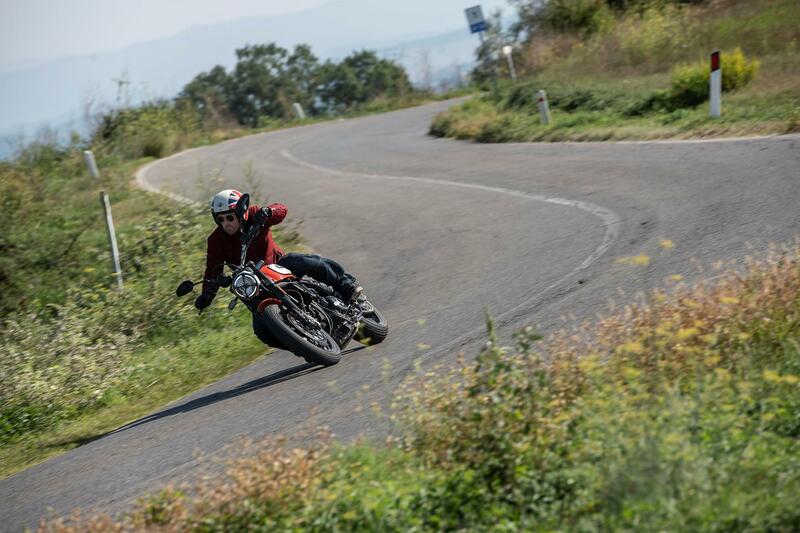 The off-road looking Pirelli rubber is also impressive – as on the old bike. Ducati have played around with the fuelling and added a hydraulic clutch instead of a cable, otherwise it’s unchanged. On paper, power is 2.5bhp down, but this is more than likely due to the new agreed way of measuring power across the industry. The 803cc air-cooled motor is based on the old Ducati 796 Monster engine. The bore and stroke has remained the same, but the valve overlap, injectors, air-box and exhaust are all-new compared to the Monster. 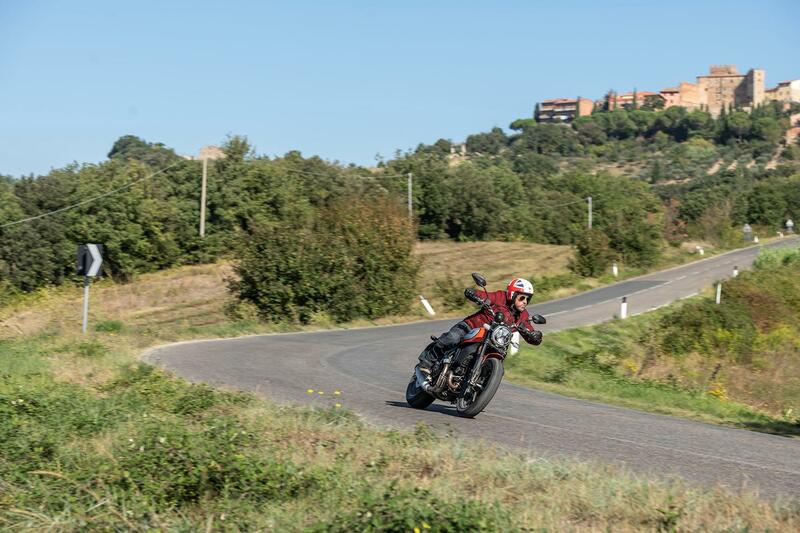 Power is linear, starts from low down and is more than enough power for an entry-level bike, however more experienced hands may want a little more top end urgency and it lacks character; a disappointed soundtrack from the tweaked exhaust. Reliability shouldn’t be a problem as the motor is based on the proven Ducati 796 Monster – service intervals are long every 7,500. The level of finish is very high – there is some lovely attention to detail. Technical improvements and tweaks to the styling have meant an unfortunate price hike. 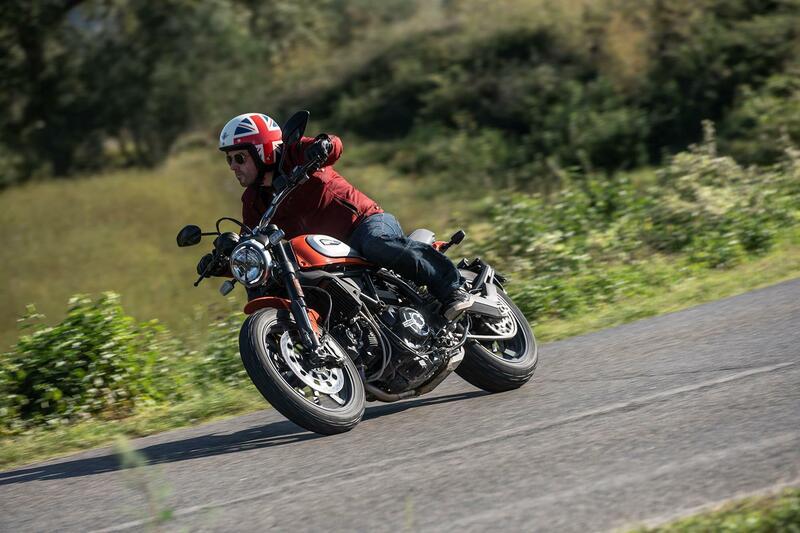 The first Ducati Scrambler, back in 2015 was affordable, costing less than £7000. Subsequent versions have edged over £8000, with the 2019 bike costing £8150 (£8250 in orange) - it’s arguably no longer the ‘affordable entry-level’ option the first bike was. You’re buying into an exclusive brand, but now it’s going to cost you a little more. Ducati have installed cornering ABS, which means they’ve also added an IMU (internal measurement unit) to measure lean angle. The single disc Brembo braking is impressive; you can only feel the new system intervening off-road. But, despite adding an IMU, Ducati haven’t added any traction control. The revised Kayaba suspension only has pre-load adjustment, but DRL lights now come as standard, the clocks are more informative with a clear gear position indicator and fuel gauge, plus there’s new switchgear. 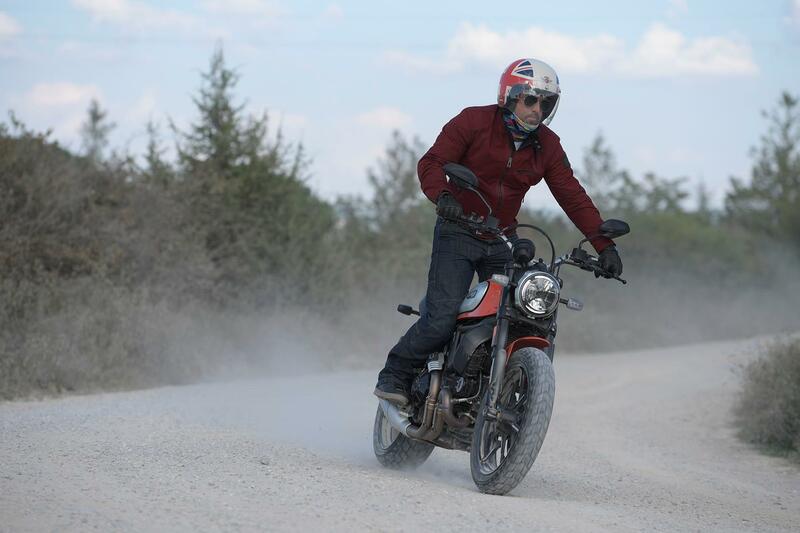 Scrambler Full Throttle – lower bars, flat track style seat, chopped front mudguard, alloy wheels, Termignoni slip-on exhaust. Scrambler Classic – Wire wheels, metal conventional front and rear mudguards, retro seat. Scrambler Urban Enduro – Wire wheels, bash plate, high mudguards, headlight guard, fork protectors, cross brace handlebar. Scrambler Flat Track Pro – lower bars, flat track style seat, chopped front mudguard, alloy wheels, number boards, headlight fairing, Termignoni slip-on exhaust. 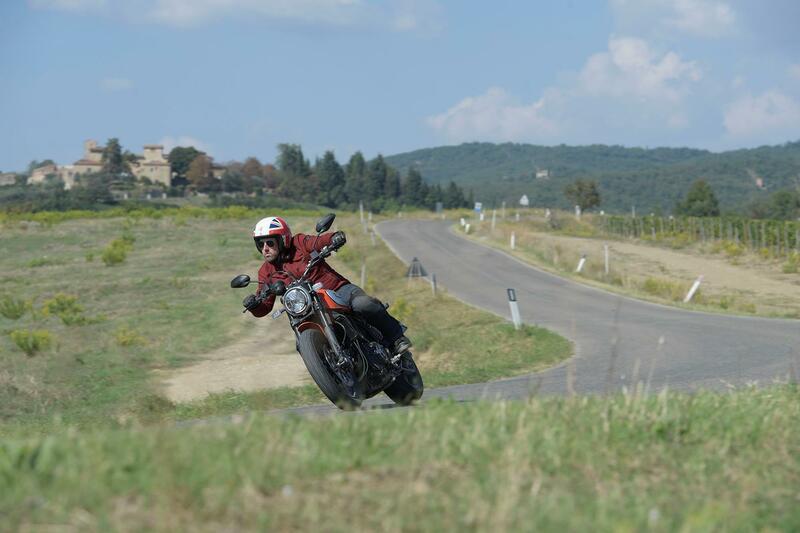 With other manufacturers investing more time and development in large capacity retro machines, such as the BMW R NineT range, Ducati introduced a larger 1100 Scrambler early in 2018. Available in three variants; the standard 1100, the 1100 Special and the 1100 Sport. Much like the original 800s, the 1100 models all share the same base and 1079cc 4v V-twin engine and gain an extra disc at the front, for additional stopping power and a raft of electronic aids. The Special enjoys a host of neat aesthetic tweaks, such as spoked wheels and a chrome exhaust. No owners have yet reviewed the DUCATI SCRAMBLER 800 Icon (2019-on).